I've wanted to do this for as long as I can remember, this May I finally get to do it. A few of us from work are heading to Ogmore to ride along the beach there, I'm seriously excited already. 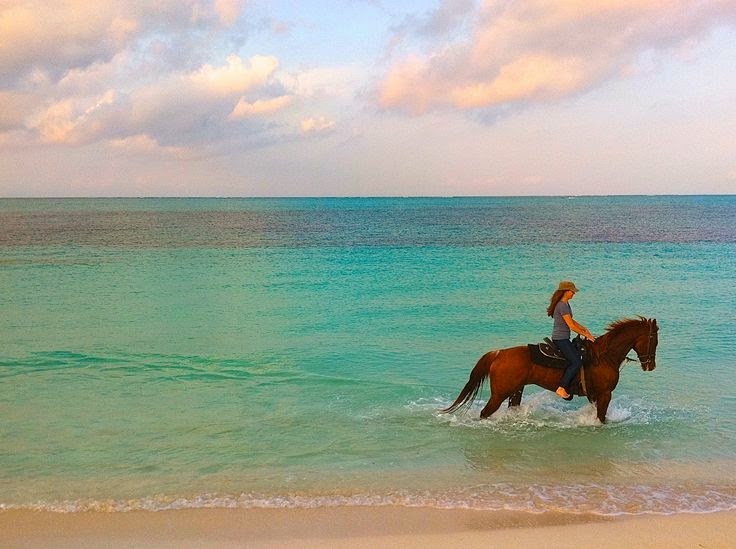 I don't know what it is about riding on the beach that appeals to me, perhaps it's a mixture of my love of the sea as well as the large open area in which the horse can really go for it. The sea at Ogmore may not look like the photo here but that won't matter, I'll just be glad to finally tick something off my list. 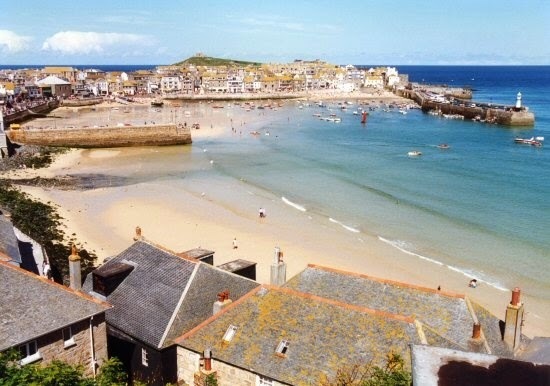 I went to Cornwall a few years back and loved it. My friends and I camped at a really great site just outside St Ives. For a week we enjoyed the beach, cooking on a stove outside and generally relaxing in wonderful Cornish weather. I doubt I'll ever go back with those friends (especially as one of them lives in Dubai now) but hopefully one day I'll get to go back. In the mean time I'm content to drool over gorgeous photos.